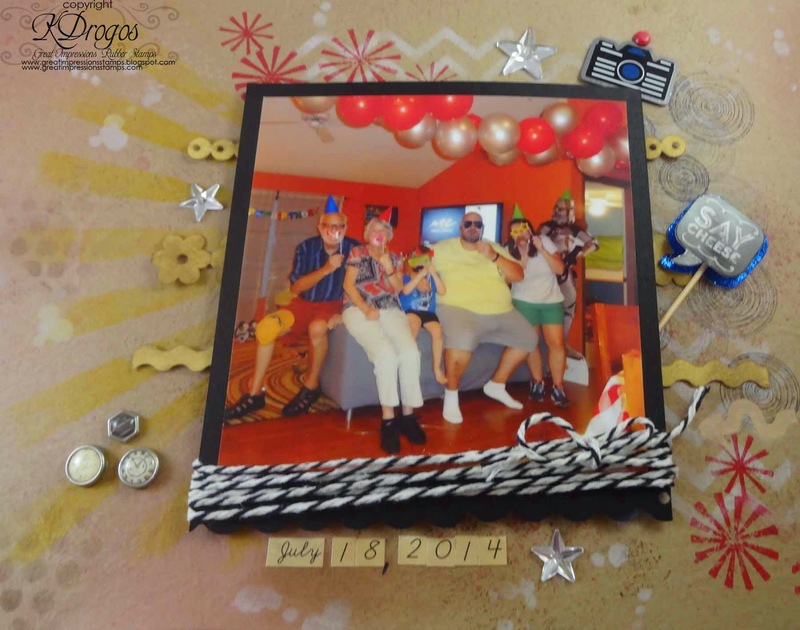 It's my turn over at the Great Impressions Blog and I have a fun layout to share with you all today. :) I was in a mixed media mood so I got out my stencils, inks, and most important-my Great Impressions Stamps! 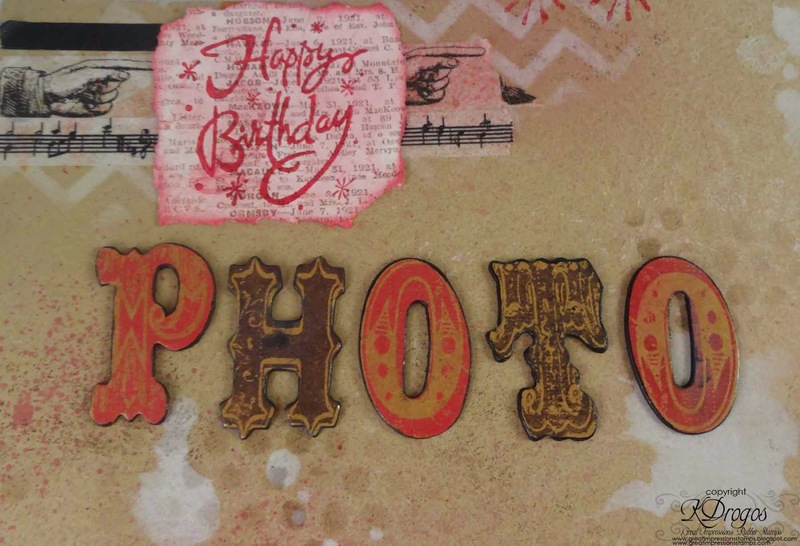 For this layout I used these awesome stamps: K94 Distressed Background, E645 Retro Spirals, E492 Twirly Background, and C313 Retro Happy Birthday. Here is the Retro Happy Birthday stamp. 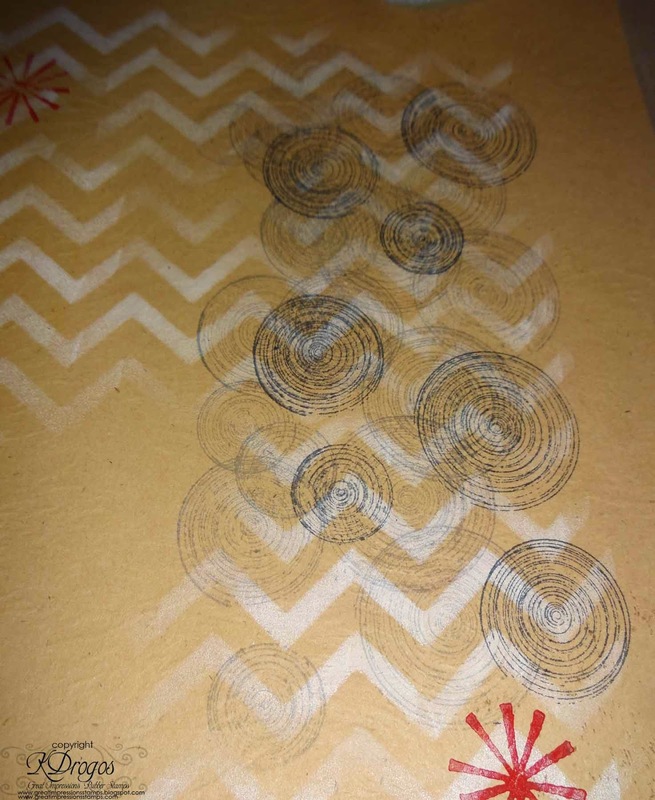 I used Real Red Stampin' Up Craft Ink with this stamp and clear embossing powder. I used Real Red on the Tim Holtz Resist letters and for the Twirly Background stamp. There are splatters from the stencils and from some mists that I used. However, if you look here and see those brown dots (walnut stain distress ink)--that is the distressed background stamp. I used it in other places on this layout but it shows up really well on the right hand corner. Here is how this look where the picture goes. You won't see all of those circles-but you need them to get the border to have some depth. 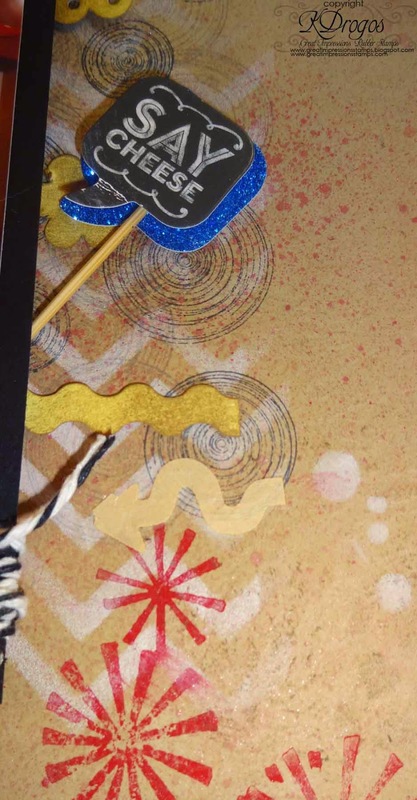 The chevrons are a stencil (heidi swapp) and Stampin' Up White Craft Ink. Here is the area with the picture and embellies. I also used Tim Holtz's sun burst stencil. Some of those dots you see is bubble wrap with walnut stain distress ink. For more inspiration check out the Great Impressions Blog, Facebook, Twitter, and Pinterest! :) And if you are ready to do some shopping: Great Impressions Online Store. awesome layout. love those big letters.. Such a fun background! Fantastic layout!! 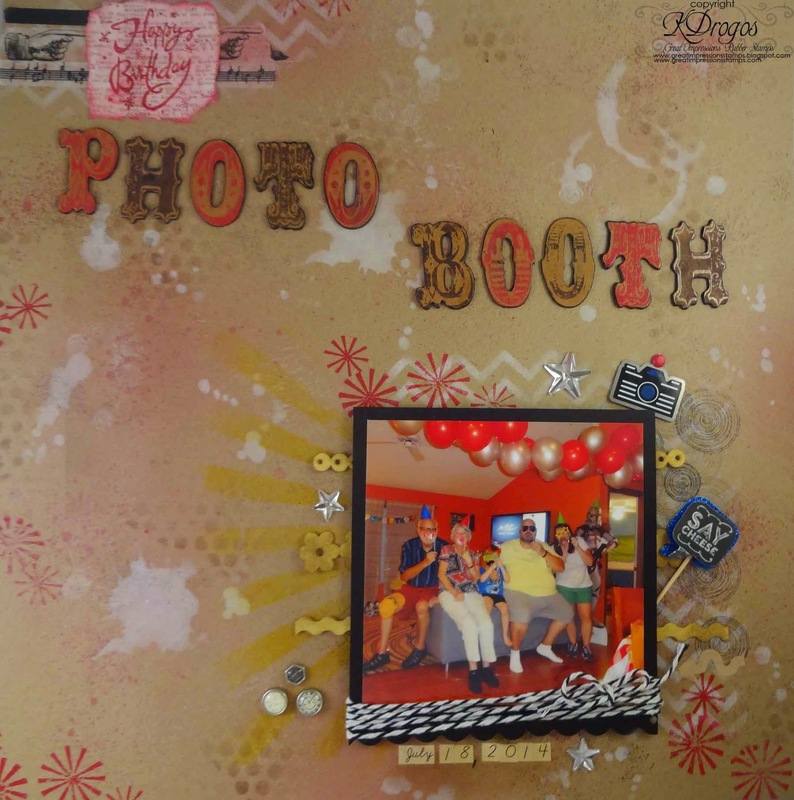 This indeed looks like fun :) love all the spritzing stamping u did to build the BG !